In Mrs. Osmond, John Banville continues the story of Isabel Archer, the young protagonist of Henry James’s beloved The Portrait of a Lady. Eager but naïve, in James’s novel Isabel comes into a large, unforeseen inheritance and marries the charming, penniless, and—as Isabel finds out too late—cruel and deceitful Gilbert Osmond. Here Banville imagines Isabel’s second chapter telling the story of a woman reawakened by grief and the knowledge that she has been grievously wronged, and determined to resume her quest for freedom and independence. A masterly novel of betrayal, corruption, and moral ambiguity, Mrs. Osmond would have thrilled James himself. 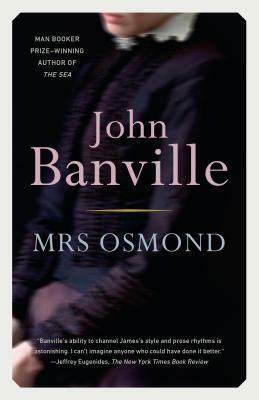 John Banville, the author of seventeen novels, has been the recipient of the Man Booker Prize, the James Tait Black Memorial Prize, the Guardian Fiction Award, the Franz Kafka Prize, a Lannan Literary Award for Fiction and the Prince of Asturias Award for Literature. He lives in Dublin.